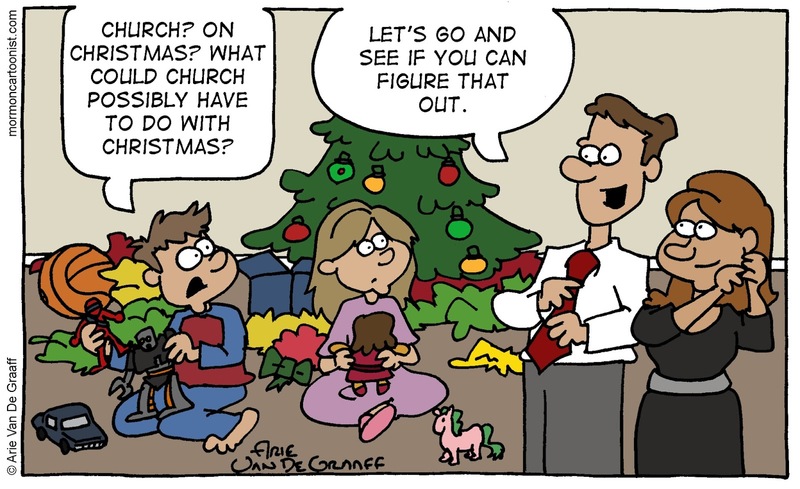 With Christmas falling on a Sunday this year, I'm sure a variation of the conversation featured in today's gag will be happening all over the world. 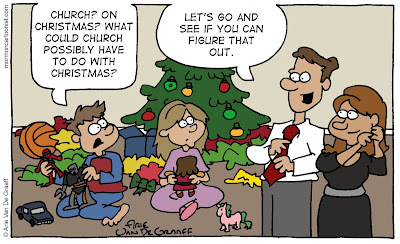 It's funny* to think that compared to some Christians that traditionally only attend church on Christmas, we've got members who are considering not attending church this Sunday because it is Christmas. Our ward will just be having sacrament meeting and moving things from 9:00 AM to 10:00 AM. I know I will be disappointed when only a handful of people show up. Then again, I might be pleasantly surprised. "Look what I got! An Xbox One!" "You sure we couldn't wait until after Church, honey?" Here we will be holding a Sacrament meeting at 11am. A lot of carols will be sung. My (non-member) family will be coming along to sing carols.